Clinicians may use their discretion in offering multifactorial interventions to prevent falls in this group. Vitamin D supplementation is not recommended to prevent falls. They recommend against postmenopausal women taking 400 IU or less of vitamin D and 1000 mg or less of calcium for primary fracture prevention. There was not enough evidence to make a recommendation for higher doses or for asymptomatic men or premenopausal women. “Vitamin D should not be taken to prevent falls in older adults, and lower doses of vitamin D and calcium do not prevent fractures in postmenopausal women,” said Task Force vice chair Dr. Alex Krist, of Virginia Commonwealth University in Richmond.The findings have been published in JAMA. Vitamin D helps the body use calcium to support bone health. The recommended daily intake of vitamin D for most adults is 600 international units, or 800 IU after age 70. 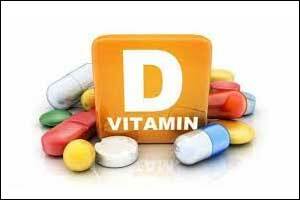 Some people take vitamin D because it isn’t in many foods, though it can be found in beef liver, canned salmon or sardines, cheese and egg yolks as well as fortified milk and orange juice. Most milk sold in the U.S., for example, contains 100 IU of vitamin D per cup. Getting vitamin D and calcium from foods has been linked to a reduced risk of decreased bone density, known as osteoporosis, that can contribute to falls and fractures among older adults. But there isn’t yet enough evidence to determine the benefits and harms of taking vitamin D or calcium supplements to prevent fractures in men or women who haven’t gone through menopause, the Task Force concludes. After menopause, when decreased supplies of the hormone estrogen may increase the risk of osteoporosis, the Task Force recommends against lower doses of vitamin D and calcium to prevent fractures. There isn’t enough evidence yet to determine the advantages or harms of high doses for postmenopausal women. Exercise, however, can reduce the risk of falls and also lower the likelihood of falls causing serious injuries, said Dr. Janelle Guirguis-Blake, author of an evidence review published in JAMA and a researcher at the University of Washington in Seattle. Increasingly, doctors are focusing on other approaches to fall and fracture prevention that incorporates exercise and balance activities and address things that contribute to falls like vision loss and medication side effects, said Dr. JoAnn Manson, author of an accompanying editorial and a researcher at Brigham and Women’s Hospital and Harvard Medical School in Boston. “The new guidelines acknowledge the limited and inconsistent research to date, and emphasize that it’s important to go beyond vitamin D and calcium supplements to prevent falls and fractures,” Manson said by email. Patients shouldn’t be alarmed by the new guidelines or stop any supplements recommended by their doctor without first discussing it with their physician, Manson said by email. However, the Task Force guidelines suggest that the enthusiasm for vitamin D and other supplements for fracture and fall prevention has outpaced the evidence,” Manson said. Dr. Thomas Schwenk takes a closer look at the recommendations — and what they mean for the practicing clinicians — in NEJM Journal Watch General Medicine.